Sharp Eye Animation is the only attorney video production company specializing in premium animation for the legal industry. 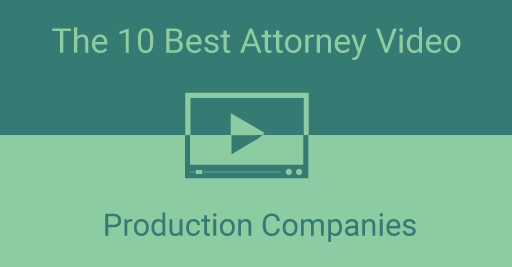 Animation differentiates law firms in a sea of nearly identical videos, and it helps make complicated legal concepts easier to understand. Why Sharp Eye Animation: 2018 Gold Award winner, presented by the American Marketing Association. Has produced numerous marketing videos for law firms. Pros: Flexible and cost effective medium, can include both live-action video content and animation. Crisp Video’s legal video marketing team produces legal videos for attorneys all over the country. The team also provides attorney video marketing services, including social media campaign management and pay-per-click (PPC) services. Pros: Have a large distributed network of contractors around the US, so chances are wherever your law firm is they can get videographers to your area. iLawyerMarketing has over 10 years of experience in lawyer video marketing services. They also offer search engine optimization (SEO), PPC management and web design and development. Paperstreet specializes in web design and development services, but they offer attorney video production services as well. Postali specializes in direct mail, website design, photo and lawyer video production, SEO and legal content writing. Pros: offers a fresh approach, creative ideas and is one of the only law firm marketing agencies that offers unique marketing campaigns such as direct mail. OVC specializes in video production for lawyers, along with PPC, reputation and social media management. Accel Marketing Solutions law firm web design, SEO, legal content writing and video production. Legal EFX provides Legal EFX is a digital marketing company providing design & digital marketing services for attorneys, including attorney videos. Internet Lava provides video marketing services along with web design, branding, SEO and content marketing services for attorneys, lawyers, and law firms across the U.S.
It’s time to get started on your own video! If you’re looking for high-end branding videos for your law firm, we suggest Crisp Video. If a client testimonial is what you’re after, consider Accel Marketing. Check out our why our animation is ideal for law firms and contact Sharp Eye Animation today for a free consultation.